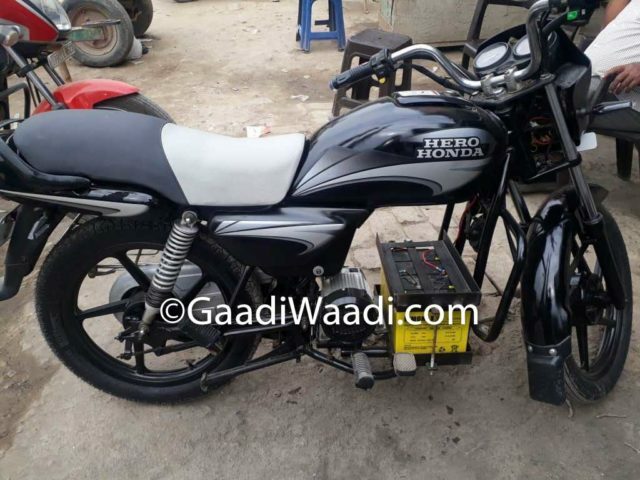 The foundation of Hero brand was laid in 1956 and it took several decades to fully launch an all-electric assault with the Hero Electric. Celebrating its more than ten years of existence in India, Hero Electric commenced its manufacturing facility near Ludhiana, Punjab in the year 2007. Fast-forwarding a decade, Hero has presence in over 25 states across India with network chain of 500 plus dealerships. The largest electric two-wheeler maker in the country has over two lakh customers under its belt and as part of a new strategy implemented Lithium-ion technology across its entire range between 2017 and 2018, after launching the first e-scooter in the form of Optima DX, powered by the vastly used battery pack a couple of years ago. While Hero Electric is making moves to endure 10-fold sales growth in the coming years, it does not seem to have any plans launching a zero-emission motorcycle in the near future. 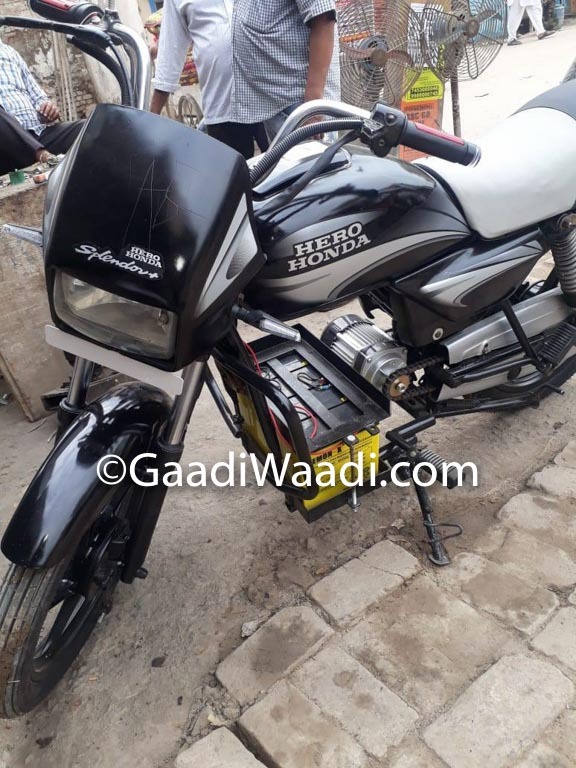 Although being the leading two-wheeler maker in the country, Hero MotoCorp has long been conservative in its approach to the market and most the promising concepts resultantly went in vain. With the New Delhi-based brand currently exploring more 200 cc platform based products following the arrival of Xtreme 200R, it is no secret that an e-motorcycle could be long way off. 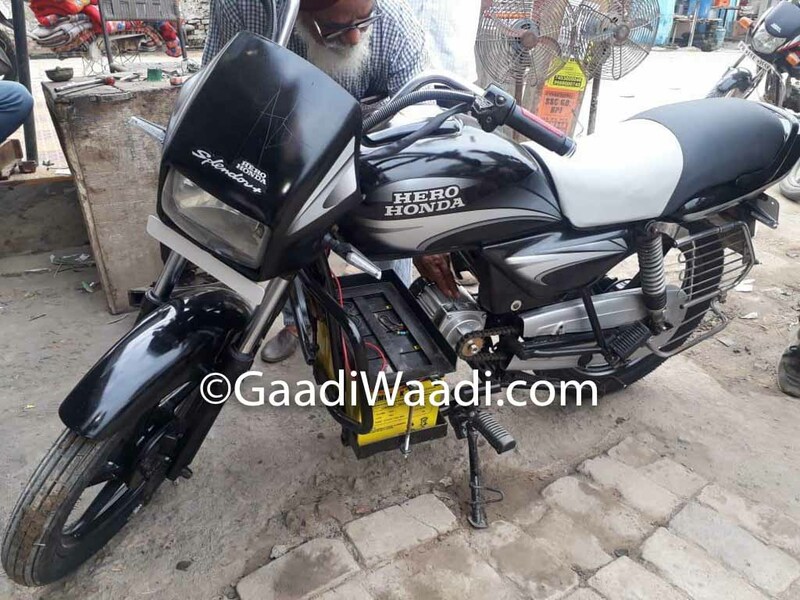 It is the similar case with any other mainstream manufacturer, as we might still be two or three years away from proper electric bikes on the Indian roads with good range. 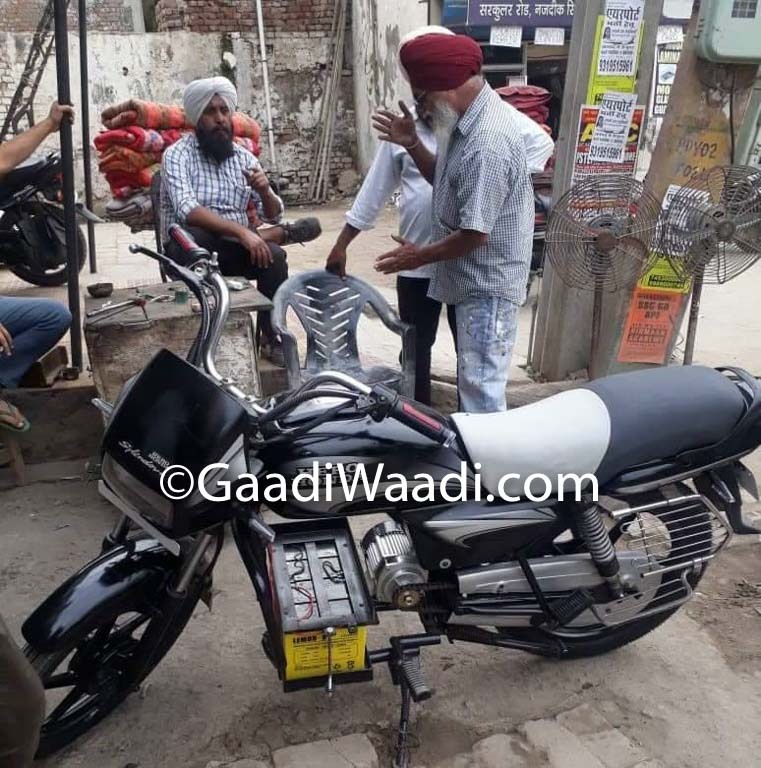 Instead of having to wait years for commercial launch of electric bikes from big brands, a mechanic from Punjab decided to create an e-bike on his own though. The pictures we have posted here is a work of a common man as he used a standard Splendor Plus for his project. The powertrain compartment has its regular IC engine removed and instead a battery and a motor come in place. They are connected to the drive for propulsion. No details of its credibility and how far will the range be are known. But it is always good to innovate and come up with new ideas, and he has done just that!